Lots of business owners get caught with tax surprises at startup or when they begin to make a profit. The surprise comes because they don't realize they must pay estimated taxes on their business income. This article describes how to do a quick general calculation to find out how much you might have to pay in estimated taxes. You are probably a small business owner paying taxes as a sole proprietor, LLC owner, or partner. In these cases, you must pay your business income taxes through your personal tax return. This is called pass-through taxation. The double whammy comes when you go to figure your taxes due on all of your income - business and personal. Whammy #1 Let's say you make a profit this year in your business. If you were an employee you would have payroll tax deductions for income taxes due on your income (business and personal). But as a business owner you aren't an employee, so no taxes on your income from the business are taken out. Whammy #2. You are also required to pay Social Security and Medicare taxes on your business income. This is called self-employment taxes. If you were an employee, these taxes would have been withheld from your income. But your payments to yourself as an owner are considered an owner's draw, not salary. And the taxes due on your business income aren't withheld. Both income tax and income tax and self-employment tax on your business income must be paid through your personal tax return. But you haven't withheld anything to pay them. This is where estimated taxes come in. How do you know how much to pay in estimated taxes? The first thing to remember is that, if you are paying your business taxes based on your income from a Schedule C, you must consider all of your business and personal income in the calculation. The IRS rule is that you must pay at least 90% of income taxes (and self-employment taxes) during the year, to avoid fines and penalties. Disclaimer: This calculation and the information in this article is not intended to be tax advice. It's just a way to get a general idea of what might be due. Work with your tax professional to determine the amounts due on estimated taxes and when they are due. To calculate estimated business taxes from Schedule C, you will need to combine this business income with information on other income, tax withholding, deductions, and credits on your personal tax return. You will also need to calculate self-employment tax (Social Security/Medicare taxes for business owners) and include self-employment taxes in determining estimated taxes due. An estimate of business income for the tax year. You can use your income from previous years, or take your income up to the current date and estimate income for the rest of the year. An estimate of business expenses for the year, using previous years as a guideline or using year-to-date expenses and projecting them through the end of the year. 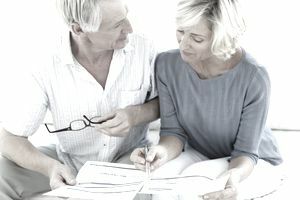 Because your estimated taxes depend on your personal tax situation, you will need to include personal income, deductions, credits, exemptions, and any withholding of federal income taxes from your personal income. In the same way as business income and expenses, you can use information from prior tax returns or use year-to-date and project to the end of the year. Estimated Tax Calculation Worksheet You can use the estimated tax calculation worksheet provided by the IRS on Form 1040-ES. You can download this document and fill in the estimated tax worksheet right on the form. Then save the worksheet on your computer. Use Tax Software In past years, I have used my tax software program from each year to run a rough calculation of estimated taxes for the next year. I use last year's return because our itemized deductions don't change much from year to year. I just plug in an estimate of business income (wage income has taxes withheld). The tax software calculates self-employment taxes. While this method may not be completely accurate, it provides a rough estimate for tax planning purposes. Since owners of partnerships, LLC's, and S corporations are not employees of the business, they receive payments periodically from the business. These payments are not subject to withholding, so estimated taxes may need to be paid. To calculate estimated tax payments, use the process described above. Your distributions from your business can be estimated from previous years, or you can project the current year from the present forward. Business owners must also pay self-employment taxes (Social Security and Medicare) on business income. Payments for this tax must be included with the business owner's personal tax return, and these taxes are not withheld from distributions, so you must add estimated self-employment taxes to your calculation of estimated tax payments. To calculate estimated self-employment taxes, use Schedule SE, or get help from your tax preparer. William Perez, tax planning expert, has an excellent article with a detailed example of a calculation for estimated taxes.